← England vs Belgium: I Am Number 3. France vs Croatia: The Unexpected Final. Without a doubt this final match up of the 2018 World Cup comes as a surprise to many mostly because of Croatia. France were one of the top contenders to win the whole tournament from the get go but Croatia have been the underdogs for most part and thus an unexpected final match up. Either way these two teams have been steady all along playing to their strengths and embracing the team spirit all along and it has worked for them. For Croatia this is already a win as they are reaching this stage of the competition for the first time ever. France on the other hand are working towards repeating the fetes of the 98′ World Cup team that won their country’s first World Cup tournament. 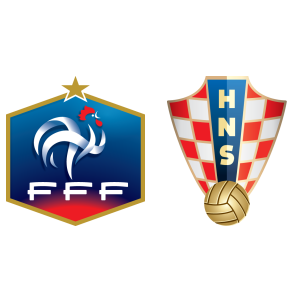 France vs Croatia is a chance for the two teams to seal their names in football’s history books and one of them will achieve this and forever be remembered. The two managers Didier Deschamps, France, and Zlatko Dalic, Croatia, have led their teams to this moment in history and they have a chance to get what they came for. The two managers have a similar approach to the game and that makes this match up interesting as we will get to see which manager executes his plan well enough to lift the trophy. France have an advantage as they have a well balanced side, a strong defense with Umtiti manning it, a strong midfield with N’Golo Kante managing it and at the front they the best finishers; Mbappe, Antoine Griezemann and Olivier Giroud. Croatia on the other hand have a handful of noticeable players but the are less known, this has been an advantage that they have exploited fully. The lack of having well known players has helped Croatia focus on team play rather than individual brilliance and it has worked exceedingly well for them. France vs Croatia will be a game where the midfield will shine and rightfully so. With two teams that have a defensive stance the one who will win the possession for most of the match will more than likely control how the game is played and this falls directly on Luca Modric’s, Croatia, and N’Golo Kante’s laps. These two maestros will have to protect the ball when they have it and also create chances for their attacking players with every chance they get. There are also likely players who will shine as well, Olivier Giroud of France is yet to see the back of the net and this is his last chance and at the grandest stage yet. Croatia have Ivan Perisic to thank for reviving their hopes in the semi finals against England and i believe he will also be a player to watch come the finals. The 2018 World Cup finals, France vs Croatia, could not be predicted as it was an unexpected turn of events but for a tournament filled with surprises at every turn, what would you expect? I know the world is ready for this and everyone who is a football fan will definitely be watching this one. May the best team be crowned champions!